SeaWorld San Diego returned a dozen rescued California sea lions and a fur seal to the ocean Friday. Almost three months into 2015, the park’s rescue team already has recorded 482 seal and sea lion rescues — the most in its 51-year history. 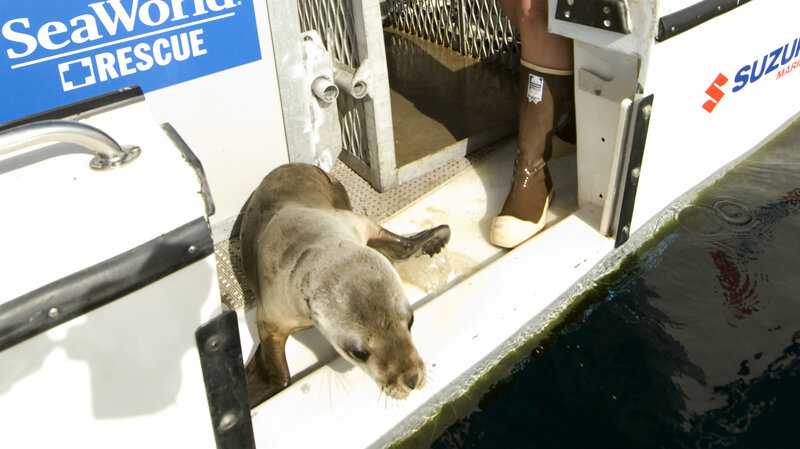 The marine mammals spent weeks to several months in the park’s Animal Rescue Center. The Guadalupe fur seal spent four months in treatment after it was found lethargic and dehydrated off the Camp Pendleton coastline in November. The seal was outfitted with a satellite transmitter before its release that is expected to give researchers an idea of where members of the threatened species travel and how they forage for food, according to SeaWorld. The transmitter likely will dislodge when the seal molts. The 12 California sea lions were set free after up to seven months at the park, officials said. SeaWorld said the park was committed to helping the unprecedented number of ill and emaciated animals by scheduling extra rescue personnel, suspending its sea lion and otter show along with its Beluga Interaction Program, and constructing two temporary holding tanks. National Oceanic and Atmospheric Administration Climatologist Nate Mantua told website SFGate ocean temperatures of 2 to 5 degrees higher than average caused the unprecedented number of starving, sick and dead marine mammals washing ashore. That increase makes it harder for mothers to find food for their pups because the fish seals and sea lions eat are migrating north, he said.